by a friend of ours, so we asked to be put on Blossom's puppy list. and my friend offered us one of those puppies. 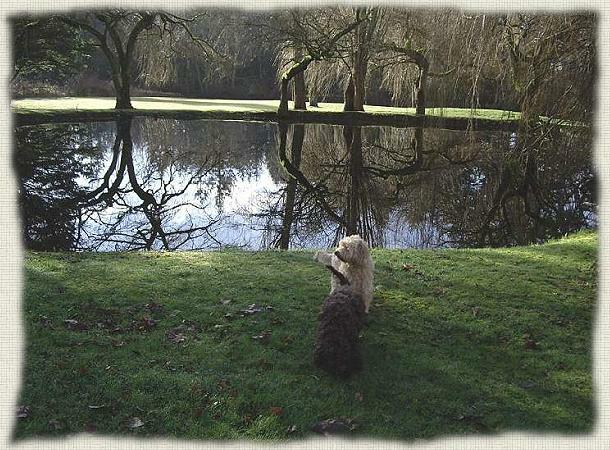 and our Labradoodle puppies are born in our Nursery within our home in Washington State. Before our Australian labradoodles puppies are put up for sale, we do have them de-sexed and microchipped. Of Course all our puppies will have all age appropiate puppy shots and all worming medications will be administered. for the prevention of fleas and ticks and heart worm.